Fact: in the world of landing pages, there are far more misses than hits. If you’re skeptical of that statement, do some quick research by clicking on some paid search or display ads. Here’s what you’ll find: over-the-top cheesy stock photos that evoke strange emotions, sketchy testimonials from seemingly non-existent customers, blast-from-the-past color combos with too much orange, green, bright blue and flashing red (think of a 1990s music video), displaced enthusiasm and more information than the user could possibly digest. Hopefully, you’ll be able to reopen your browser after the surprise audio feature crashes it. When you finally do find a stellar landing page, you may want to jump out of your seat and high-five it. It will be conversion-centric, trust-inspiring, energetic and straightforward all at once. This landing page promotes Salesforce.com’s Social Service Cloud platform, which helps client-focused brands and agencies engage with customers on social platforms. With video and downloadable e-books, the page is packed with learning resources that visitors will find useful (plus, there is strong evidence that videos enhance conversions). With testimonials from professionals like senior social media directors, the service projects an instant sense of credibility. Through videos, prospective leads are able to connect with industry experts as people rather than names in chunks of text or quotes. When you are asked to register, the benefit reason is related to the “Service Cloud”. However, the rest of the page fails to explain what the Service Cloud actually is or reconnect with this idea. While offering teasers to its value from industry leaders and experts, there is no to-the-point description for audiences who would benefit from more details. Editor’s note: When you do click on the resources, expectation quickly turns to frustration by requiring that you register before even watching a video – this is a massive old-school #FAIL in my mind – sometimes you really have to give content for free and not only think about lead gen – at least let people watch the videos! Conceptually the page is really strong – just too much of an instant barrier. 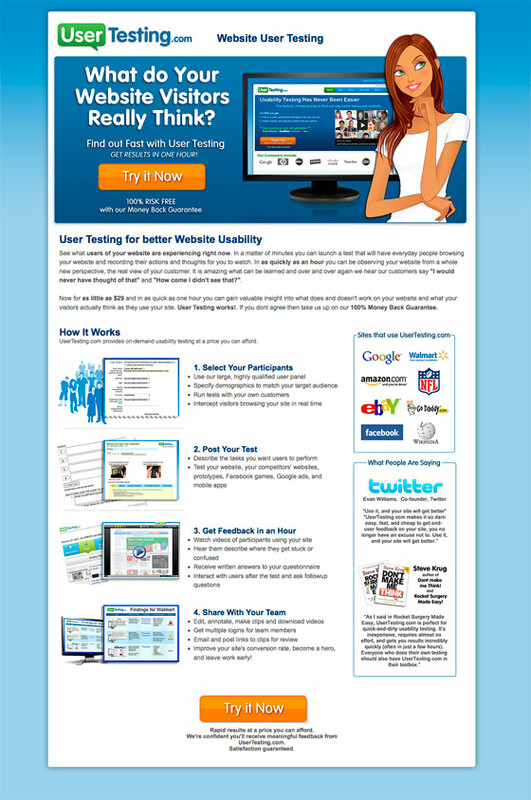 UserTesting is a service that allows website owners to quickly collect inexpensive feedback to inform product usability and improvements. With a straightforward headline, quick call to action button, and clear testimonials, this landing page excels as a trust-building communication tool. Within 30 seconds, I can quickly see what UserTesting.com provides, who is using it and what users have to say about it. If you want to learn more, there is plenty of information to walk you through the process and help me make an informed decision. I even have a general idea of how much it costs, and I’m even more inclined to buy with the advertised money back guarantee. Editor’s note: There is strong social proof shown with the list of existing customers, which can be a big conversion tipping point. Above the fold, the page is a little too text-heavy with language that could be streamlined into a couple of high-impact statements or bullet points. 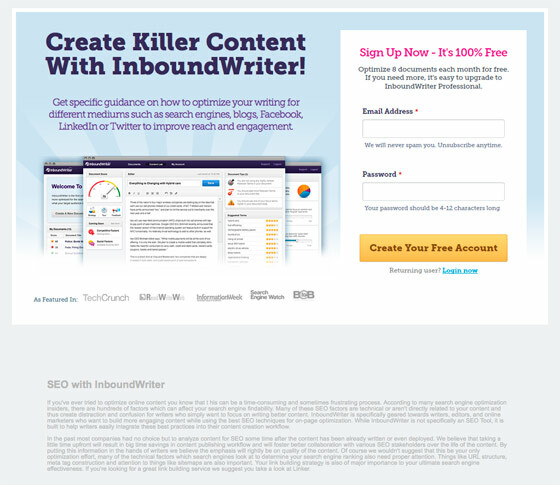 Inbound Writer provides real-time social intelligence to writers for content optimization. It’s short, simple, and straightforward. All important information falls concisely above the fold. Instantly, a compelling headline capture’s my attention, and the layout provides all important information that speaks to any content marketer’s values. A product that’ll help me improve reach and engagement? Where do I sign up? From a trust factor there is the all important “I won’t be spammed” statement, places correctly right beneath the email address field. Editor’s note: After the simple sign-up, you are provided with a nice modal explanation of what to do next. Smart! The page feels a little impersonal and could benefit from a testimonial beyond a list of companies that are already using the product. As is, the dashboard screenshots are small and tough to follow: strategic image-cropping would help with a much-needed face lift, or some nice modal popup screenshots (lightbox style) would provide a deeper preview). 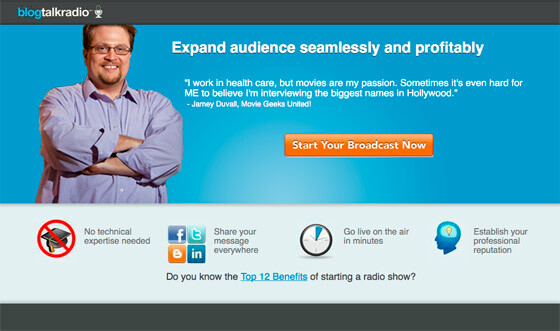 Blog Talk Radio is a platform for people to create and broadcast talk radio shows online. This landing page is an example that shows how photos can be an elegant and effective marketing tools. 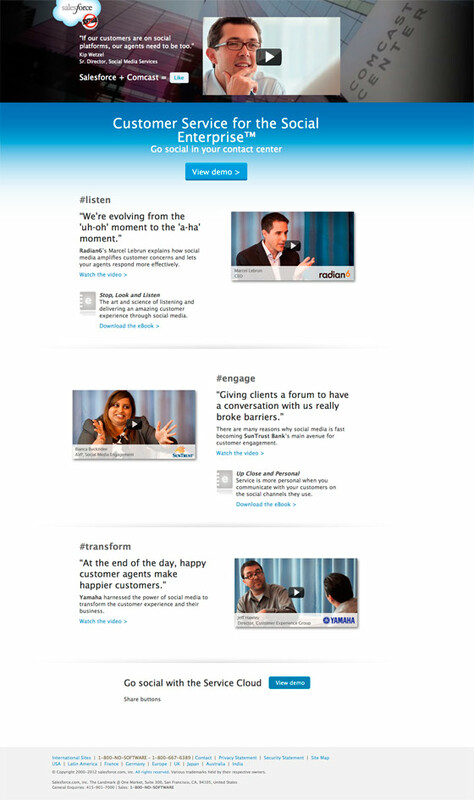 It builds a personal rapport with the audiences by incorporating pictures of real users. The images rotate through three different individuals — one male and two female– to appeal to a variety of demographics. The layout is simplistic, focusing on trust and usability as a key emphasis with real customer quotes and images that put faces to the name. The CTA is really obvious and states exactly what will you will get when you click it. The benefits are laid out in a simple and easy to read manner beneath the main banner. It offers some free content/advice to teach you how starting a radio show can be good for you (the link at the bottom). Helpful, insightful and FREE advice will position you as a thought leader and make people remember and trust you. 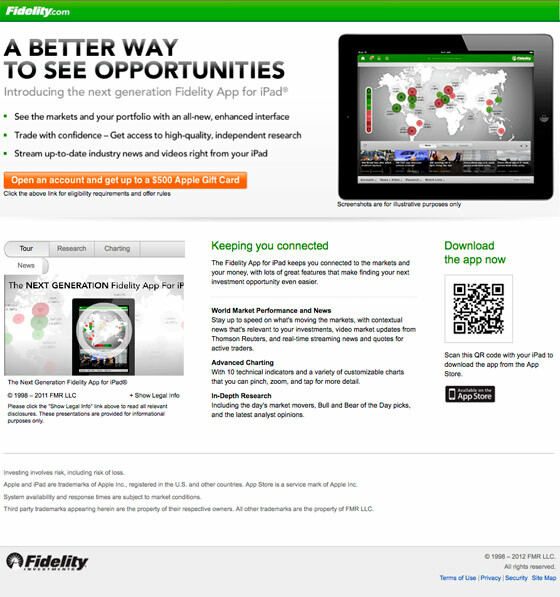 Fidelity provides investment and asset management services to consumers through products such as IRAs and 401(k) plans. This landing page leverages a layout that makes sense by keeping pertinent information above the fold and orienting the audience with a compelling headline and dominant visual element that shows a strong sense of content of use. The Apple gift card promotion is a strong incentive tool and added bonus for the campaign to help drive conversions. While the landing page is designed for desktop and laptop viewers, there is a QR code for people to get the app on their mobile devices. Editors note: There is a video in the bottom-left to aid understanding for interested parties and help boost conversions. But I can’t help feeling that it should have been embedded inside the iPad iself – or at least have an enlargeable lightbox screenshot that can be opened from the iPad image. I feel like they missed the perfect spot for a product demo. Editor’s notes: The call to action button might be better as a double lined button which would have the affect of increasing it’s size/dominance – and separating the action and benefit. Another option would be to include the details about the $500 Apple gift card promotion would be better-placed beneath the call to action. 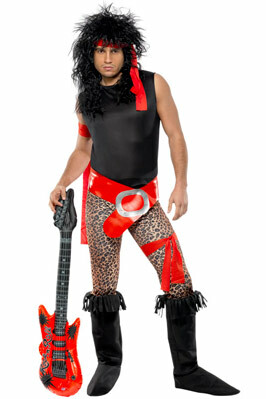 Something to try as part of an A/B test. When you click through, you are faced with a second landing page with terms and conditions (and unnecessary frustration). It would be much better to have the t&c be launched into a modal window from the first page so you can read it if you want and not be interrupted by it. What about these landing pages caught your eye? Please share your comments, good and bad. What did you learn from these landing pages? How would you change them?